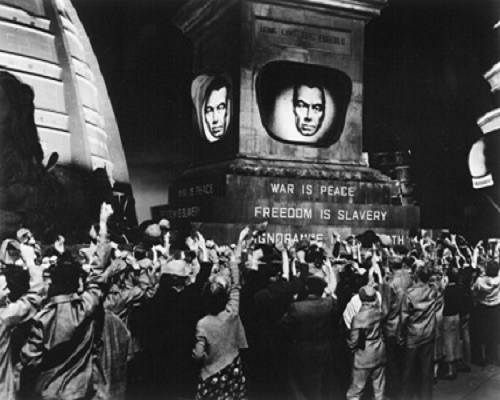 Scene from the motion picture “1984” a futuristic drama about a world ruled by a secret government headed by Big Brother. There isn’t much that is shared by the U.S. and Russia, but one thing the two world powers do share is a negative view of the New World Order, a one-world government that is slowly and methodically replacing nationalism, religious faith, and loyalty to country. The most sinister conspiracy going unnoticed by many Americans, including those citizens opposed to abortion, illegal immigration, multiculturalism, identity politics and gun control, is what’s being called the Deep State, a shadow group who are actually running the federal government’s executive branch, the federal legislature and the judicial system. 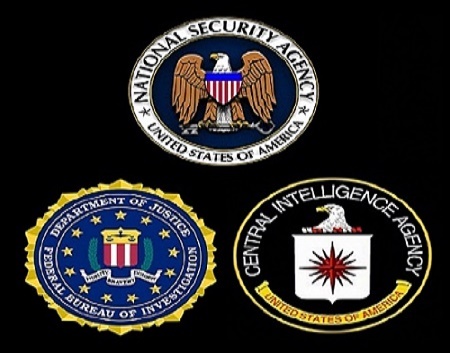 But the Deep State is believed to be merely part of the United States sinisterists’ overall plan or movement to create the dreaded One-World Government with a Marxist economic system and a society based on surveillance. . According to author Bruce Walker: The ideological spectrum, with its notional “left” and “right,” is simply an invention of those who would take our liberty, poison civic life with suspicion and hatred, and create a reality in which every aspect of life is “political.” Nazis, Bolsheviks, Radical Islamists, Fascists, Japanese imperialists are exactly the same as what we today call the “left”. A better word to describe these clones is “Sinisterist.” The opposite of “Sinisterist” is not some mythical “right,” but rather ordinary and decent people trying to live their lives in peace and freedom. Moving too far in the direction of individual liberty never leads to tyranny. Moving towards that odious incarnation of injustice known as “social justice” always leads to the horror of Sinisterism. Many conservatives and libertarians remember how President George H.W. Bush during a speech calling for “a new world order” made them question his conservatism. Suddenly, the GOP sounded more like the Democrats on the far-left who would like nothing better than to erase the borders separating nations and view nationalism as an evil by most of the world’s population including the majority of the American population. Are their efforts still at the center of their ambitions? How far along is their goal in 2018 when Americans elected a real maverick named Donald Trump who is to them an America First leader at a time when most Republicans sound like Democrats? On Thursday, talk show host Jim Schneider of the widely syndicated radio show Crosstalk presented the latest information on the issue of the New World Order. 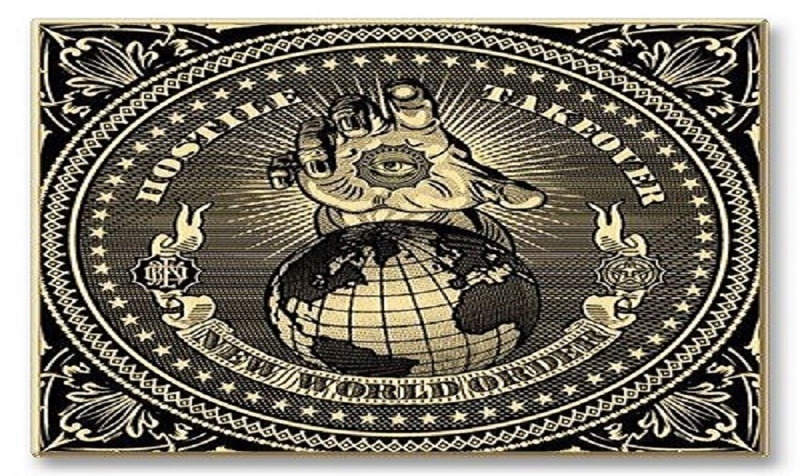 His guest was Gary Kah, who actually became a part of the New World Order a/k/a One World Government. Gary Kah had been invited to join the World Constitution and Parliament Association, one of the organizations involved at the forefront of promoting the world government agenda. In fact, the group’s alternate name on its website is The Earth Federation. His four-years with the group provided him with the opportunity of seeing detailed documents which demonstrated that the push toward a one-world government was active and rapidly advancing. It led to him authoring two books: ‘Enroute to Global Occupation’ and ‘The New World Religion’. According to Gary, some people tried to say that President Bush didn’t really understand what ‘new world order’ entailed. The problem with that idea is that at one point he was a chairman of the Trilateral Commission and was a member of a number of globalist organizations whose purpose was to move the world toward global governance. “The Bush era was the launching point in the sense that prior to that time, everything had been behind the scenes. In the early ’90’s, politically involved New Agers and globalists viewed Bush’s words as the signal that it was time to move forward and do it quickly. They continued to lay the groundwork throughout the ’90’s via new organizations founded at different levels of government and even outside of government; organizations that cooperated with the United Nations,” stated the Crosstalk promo. In the ensuing years, the movement moved forward quickly while other times it seemed to hold back. Gary believes that during last 2 years of the younger George Bush administration (2006-2008) and especially during the 8 years of the Obama administration, the pace of the new-world-order movement increased rapidly. Elder Bush signed on to the UN Agenda 21 plan to make us part of communist one world gov., every president since has pushed this until Trump, that’s why the war against him, he isn’t following the “plan”!!! One line in the document says “it isn’t equitable for some to buy & sell property & make a profit when not everyone can afford to”. Also found UN document from Office of disarmament affairs a few yrs. back, jest of it says “we must confiscate weapons from civilians so we can finish implementing Agenda 21”. Agenda is also called Agenda 2030 now.